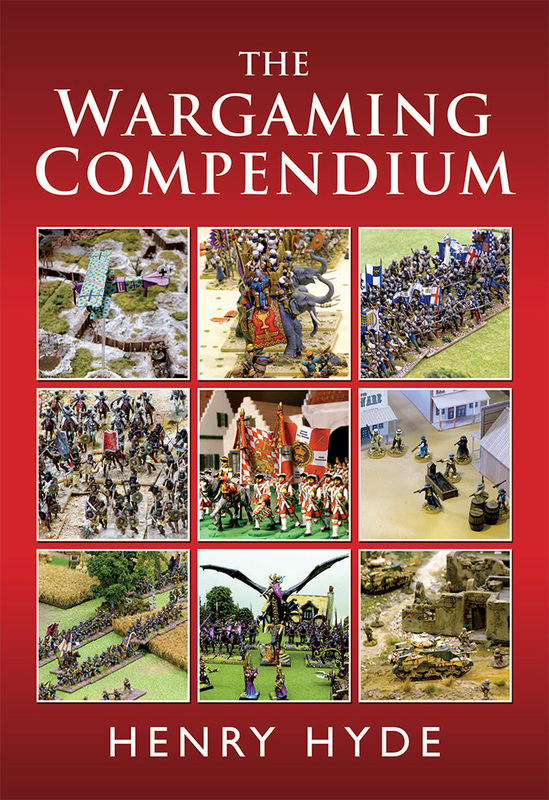 Steve Severino, one of the guys who supports my Facebook page for Miniature Wargames with Battlegames, found this witty and enthusiastic review of the Compendium online. The whole video is worth a watch, with its highly entertaining presenters, but if you like you can skip to the relevant bit which begins at 12:35. Many thanks to E14 and Claymore Division, with presenters Brad Harmer and Ömer Ibrahim. I am very chuffed indeed to be the recipient of their first ever 10/10! Now we know: Henry Hyde – the Delia Smith of wargaming. Will T shirts be available? I must disagree with the claim that the whole book can’t be read within three months. I can’t be the only one who has done so, and many appear to have played games of Shot Stell and Stone, which I cannot claim. Otherwise, well done to the reviewers for their enthusiam (and facial hair).